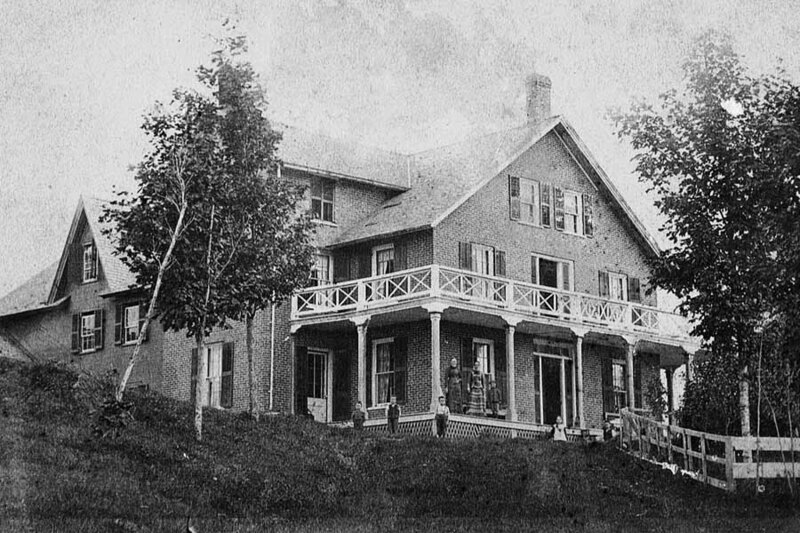 Opened in 1872, The Knowlton Home in Knowlton, Quebec was the third Receiving Home that Scottish evangelist Annie MacPherson opened in Canada. Marchmont Home in Belleville was the first. Galt, Ontario was second. Emily Barber, who had assisted Annie MacPherson at her Home for Industry for Destitute Children in Spitalfields, East London, became supervisor of Knowlton. After the opening of Knowlton, MacPherson would divide the children brought over amongst the three Homes in Ontario. Meanwhile, a request to speak about her work with prominent philanthropists in Liverpool led MacPherson to send her sister, Louisa Birt, in her stead. After this meeting, Mrs. Birt was invited to head what became the Liverpool Sheltering Homes. In 1875, MacPherson turned the running of Marchmont over to friend Ellen Bilbrough and in 1877, MacPherson chose the Galt Home to be her main focus, relinquishing the running of Knowlton to her sister Mrs. Louisa Birt. Daughter of a Quebec banker, Elizabeth Meiklejohn, was appointed Knowlton’s superintendent, a position she held for 26 years. Mrs. Birt began to send children from Liverpool’s workhouses and institutions and The Liverpool Sheltering Homes’ primary function soon became that of a temporary shelter with the ultimate goal being the emigration of children to Canada. After illness prevented Mrs. Birt from carrying on her work in 1910, her daughter, Lillian Birt, took over. Her work there was short-lived. A fire damaged the property in 1913 and the First World War began, stopping the flow of children. After Mrs. Birt’s death in 1915, The Knowlton Home was closed and operations were combined with the fourth MacPherson Home in Stratford, Ontario.